Pioneers in the industry, we offer high lift pallet truck and hydraulic pallet truck from India. We feel proud to introduce ourselves as the prominent manufacturer and supplier of an excellent quality range of High Lift Pallet Truck. These are designed as per the international standards, which can be modified to suit the specific requirements of the customers. 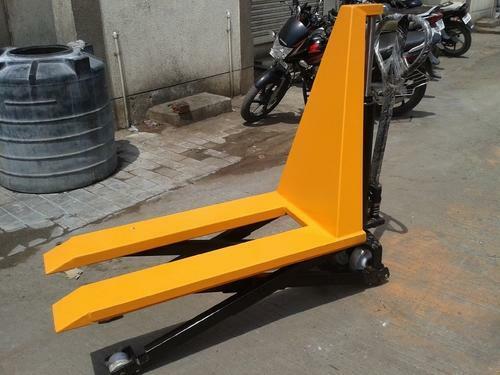 High Lift Pallet Truck offered comes in powder coated paint finish for long service life. Owing to the sprawling infrastructure, we have been successful in providing the customers with a wide range of Hydraulic Pallet Trucks. Equipped with polyurethane tandem rollers, the range provides a quieter and smoother rolling of the equipment over rough surfaces. Besides, the range is also incorporated with one-piece "c" section forks that provides greater strength to the equipment. Also, the range is appreciated for its high load-bearing capacity. 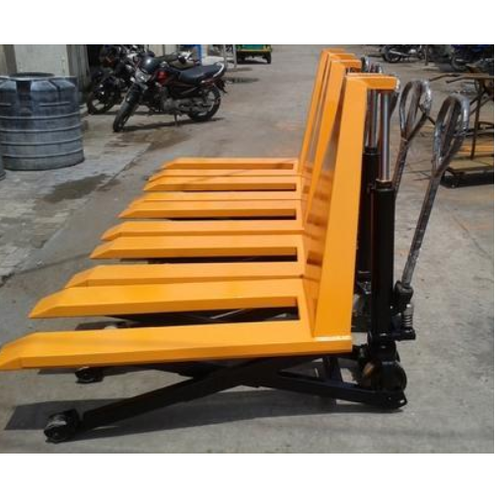 Available capacity options 2000 kg, 2500 kg, 3000 kg, 5000 kg. 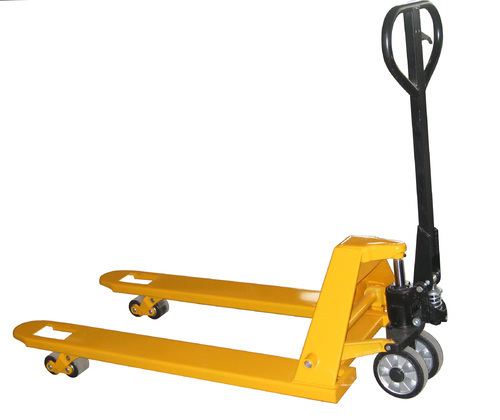 Looking for “High Lift Hand Pallet Truck”?